View the entire table of contents for the March 31, 2014 issue. There are plenty of ways to spin 2011 for producers of Rhône-style reds in California. "Disaster averted" is one. "Making do" is another. But for consumers, the best advice is "pick and choose carefully." More so than in other recent vintages, location mattered and quality varies. Though 2011 was the most problematic year in a decade for many producers, there are more bright spots than expected. Some vintners fared much better than others and have reason to be enthusiastic about the outcome of the vintage, even if the journey was perilous. Wine Spectator's James Laube explains. 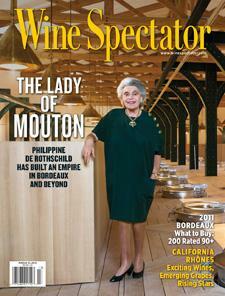 For the full article, check out the new issue of Wine Spectator, on newsstands February 25, 2014.